2017’s style was as unique as it was simplistic. Bring some of that into your 2018. 1) Caraa’s convertible bag: From work, to the gym, to vacation, this indispensable carrier is ready to adapt to your lifestyle. Comes with waterproof pockets, a laptop holder, and a waterproof shoe bag/wet clothes holder. Available in four different colors (Moss is temporarily out of stock). Get it for $425.00 while the rest is still available - we’ll never know if you decide to keep it for yourself. 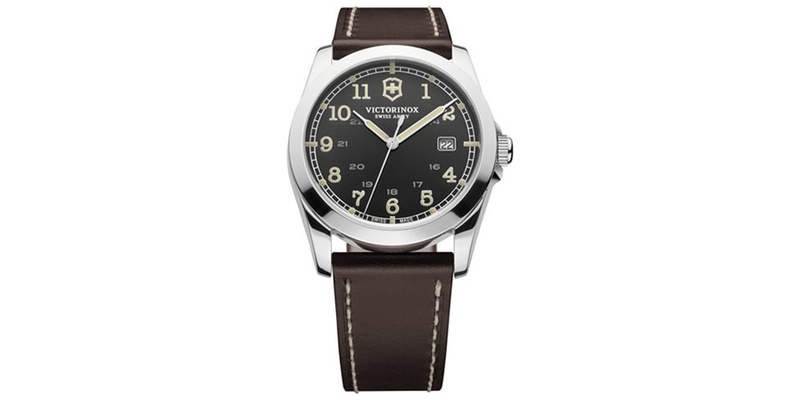 2) Swiss Army's Victorinox: Like I said, simple style and pleasure comes in the smallest of objects. Wear this one proudly for all your daily endeavors or give to someone who will. Change strap color is brown is ill-suiting but be sure to act quick- Macy’s has it listed for $395 with an extra 25% off with their code (FRIEND). 3) G-Shock’s Analog-Digital: Looking for something tougher? 'B-boys' everywhere can enjoy this timeless watch. The lineup gives us three colors (blue, silver, gold) to create whatever image you’ve got on your mind. Easily paired with any outfit, this is an absolute go-to. Get it for just $150. 4) Ralph Lauren’s Packable Twill Windbreaker: The designers at RL never fail to impress: giving us style we can take onto the golf course with compensating for weather. Take on the new year with a seasonal rain coat perfect for layering up or for some spring showers. Made from durable Japanese fabric, the coat will battles the wind and rain for you, so you can focus on the more important things (like winning the game). It's even able to pack into its own pocket. Get it for $165 - we recommend Beige. 5) Fifa 18: For all the gamers out there that are not quite done being gamers, this one’s for you. Per request from a multitude of hard-working men in need of some major relaxation, Fifa 18’s recent release has them begging. Give it to the ones with their childlike imagination still intact, the ones whose hearts will race with every ball kicked. Bonus points if you don’t make the same mistake I did; purchase from Walmart, not Target. Your wallet will thank you. Maybe it’s time to reconsider the age-old notion that Christmas lists are just for kids, Happy Holidays!